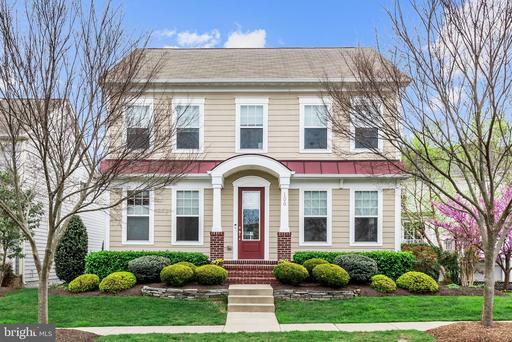 Gorgeous Colonial in the heart of Historic Downtown Herndon! 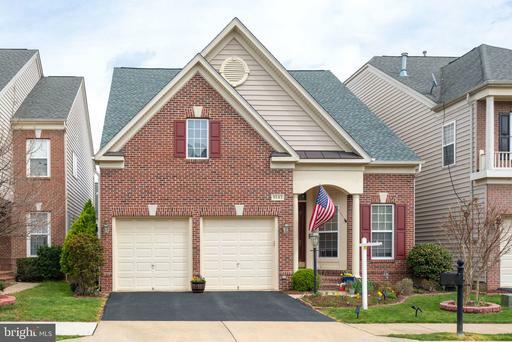 **Open Sunday April 28th 1-3pm** Rarely available single family home in Darlington Oaks, a charming enclave of Stanley Martin homes built in 2010. 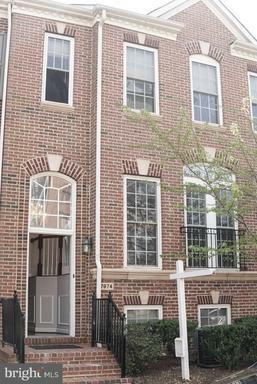 Main level features gleaming hardwood floors, 9 ceilings, and an open, contemporary floorplan. Four spacious upper level bedrooms, including master with tray ceiling, hardwood floors, dual walk-in closets, and luxury bath! Gourmet kitchen has granite, tile backsplash, stainless steel appliances, and large center island with pendant lighting and breakfast bar. Family room with built-ins and sliding door out to deck, overlooking lovely landscaped yard and common area. Lower level with den/exercise room, walk-out to patio, and access to 2-car garage. LL has rough-in for future full bath, and storage room with egress window could be transformed into a fifth bedroom down the road! 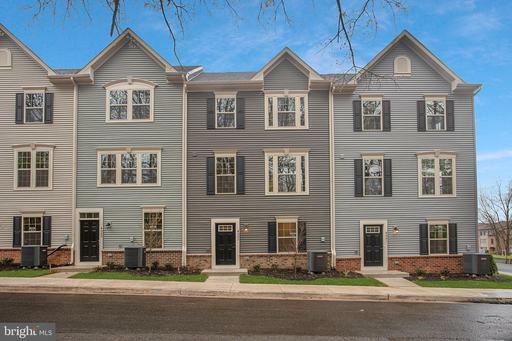 Fantastic location minutes from WOD trail, parks, and downtown Herndon favorites, from the Farmers Market to the Town Hall to Jimmys Old Town Tavern! 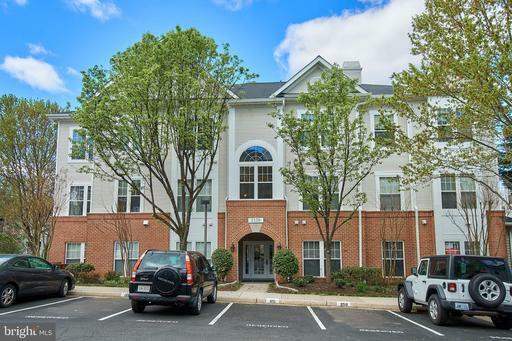 Ideal for commuters with easy access to FFX Co. Pkwy, Toll Rd, 7, 28, Fairfax Connector bus route, and future Herndon Silver Line Metro Station. Desirable Queen model in one of the most sought after Kings Park West locations. 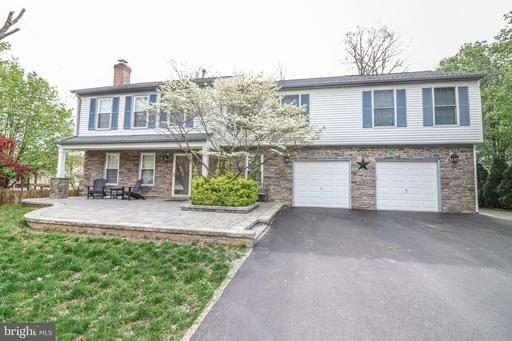 This pristine, updated 4 BR colonial is sited on a choice wooded lot backing to sprawling wooded parkland abutting Royal Lake. Enjoy the natural surroundings from the privacy of your deck, perfect for bird watching all year round. Theres easy access to the lake trail from the edge of your property, making vigorous hikes and leisurely strolls so much easier.Inside, youll find the all-new kitchen features white cabinets, stainless appliances and granite counter tops. Adjoining family room offers a separate side entrance as well as a new Anderson patio door leading to the to the deck. A pellet stove creates a cozy ambiance.There are hardwood floors on the main and upper levels, and the walk-out basement has brand new carpet. bathrooms have all been updated with new fixtures and flooring. 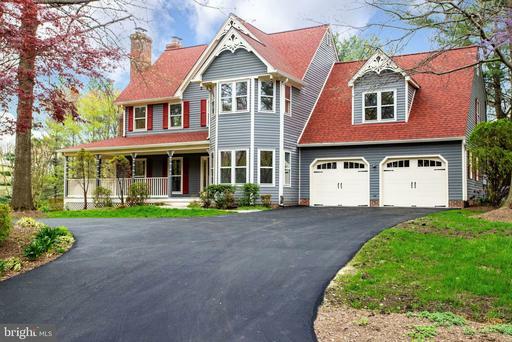 A new concrete driveway, lead walk and front porch add curb appeal to this picture-perfect home. You wont want to miss it. 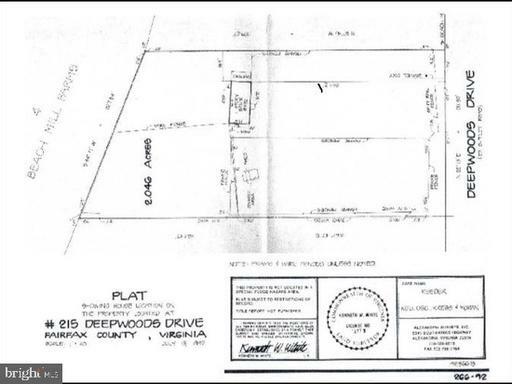 8522 8520 Forest St sold together two lots - Builders/developers over 1.15 acres total. Beautiful contemporary home designed by owner. Open concept, 4 bedroom, 2 bath home has endless possibilities. 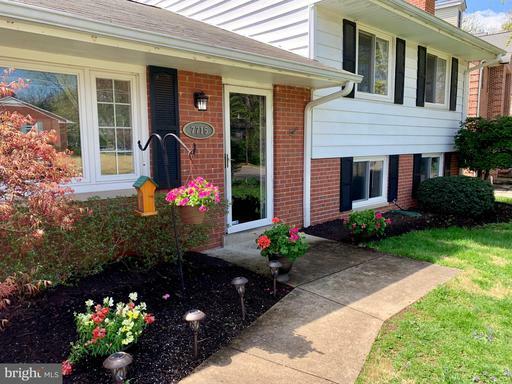 Fabulous 2 bedroom/2 full bath condo in Lee Oaks! Renovated in 2019! All new carpet and laminate flooring throughout! Brand new kitchen with granite counters, stainless steel appliances, contemporary white cabinets, and updated plumbing fixtures. Main living area features a huge Dining/Living Room combo with wood burning fireplace, private den/bonus room and a light filled sunroom with a wall of windows. Master Suite with dressing area, walk-in closet and private full bath. Spacious 2nd bedroom and additional full bath. All new appliances, washer/dryer, and water heater in 2015/2016! Condo comes with storage unit! 1 assigned parking spot and 2 visitor passes. Incredible location! Just minutes to 495, 66, Tysons and Mosaic District. 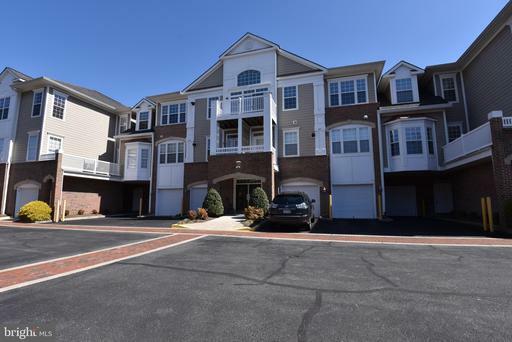 Located midway between East/West Falls Church Dunn Loring Metro stations. 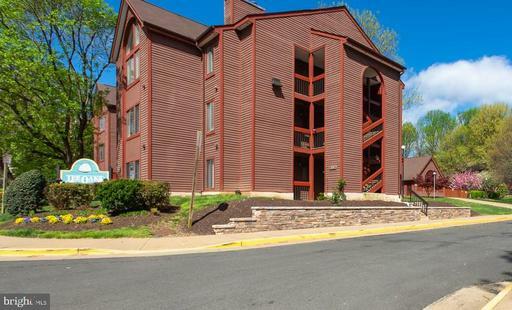 Walk to shopping, restaurants, metro bus stops. Lovely community with Club House and Pool. Gorgeous!! Welcome home. The newest George Sagatov Home. Home nearing Competition. Very rare flat 1.24-acre lot in Langley Forrest, River Oaks This Stone and Hardy Classic, boast elegant molding, built-ins and Paneled Library with hidden room. Custom Handcrafted Cabinets with two tone design heavy molding and fine details. Huge mudroom off 3 car garage with 2nd area to have washer and dryer. All the Tile work is right out of Architectural Digest. All bedroom are suites with the master having a fireplace huge walk in closets and a master bath you will fall in love with. The back yard can fit a pool, tennis court and a detached 2 car garage. But the best thing about the yard is it is very private yet part of a great neighborhood were neighbors walk and kids play. This builder has finished off a Covered Porch with outdoor fireplace. The lower level is a walk up extra wide so it lets light in but allows you to walk out from you main level. It also has a bar with wine cellar behind a media room, exercise room and a Bedroom and bath. All inside the beltway for a better view look up address on YouTube for a walk though tour of a finished home. 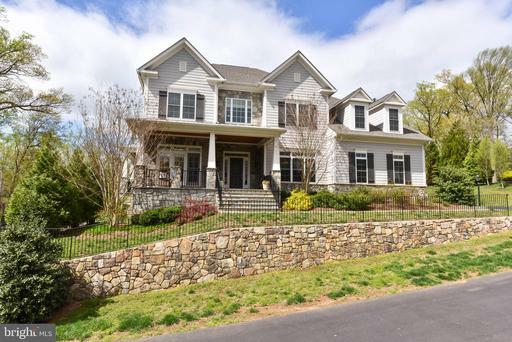 Welcome to this gracious family home with 7 bedrooms and 7.5 baths in the desirable Franklin Park neighborhood of McLean. A gourmet kitchen with a Wolf stove and Subzero fridge opens onto a large family room with a fireplace and a connected casual dining area. On the main level, there is a main floor bedroom with an en-suite bath, as well as a formal dining room, a butlers pantry, and a mudroom with laundry. Upstairs you will find plenty of space for all with 5 bedrooms and 5 full baths. The upstairs master bedroom boasts dual master baths, as well as walk-in closets. There is also a second laundry hook-up. The fully finished basement holds one additional bedroom with an en-suite bath, as well as a media room, and a gym. A bar area with a second microwave, second dishwasher, bar fridge, and more cabinets makes this a fun entertaining space. 10 foot ceiling on the first floor, and 9 foot ceilings on the other floors. Outside you will find a slate patio, a grassy side yard, two porches, and two garages that will hold three cars. Open Saturday Sunday 1-4. 5 Acre Parcel sold separately from the main parcel. 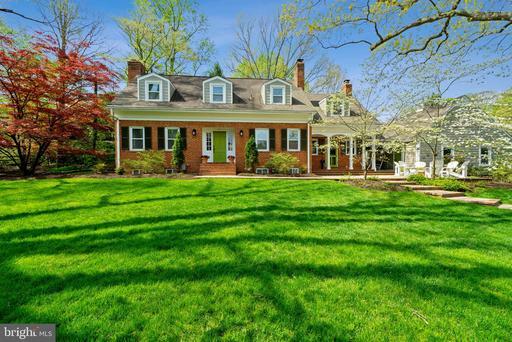 This is a gorgeous site surrounded by some of McLean Virginias most bucolic homes. 15 ACRES TOTAL. Main House on 9.86 acres offered for $4.8m and this 5.08 acre parcel can be sold separately for $1.75m. 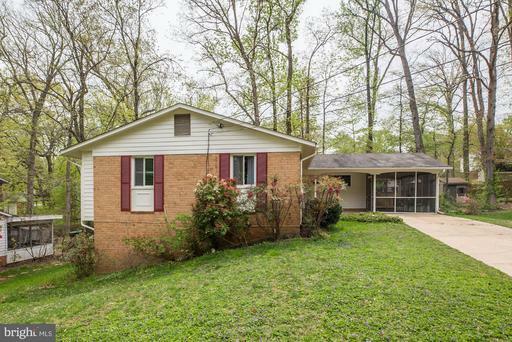 SEE RESIDENTIAL LISTING 7710 GEORGETOWN PIKE FOR MAIN HOUSE. "New Construction with New Home Warranty!Rear Balcony and Rooftop Terrace!Hardwood Flooring and Staircases! Upgraded Cabinetry, Gourmet Island and Granite Countertops! Upgraded Bathroom Tile and Granite Vanity Tops!Craftsman Interiors! 9 Ceilings!2 Car Garage! "Prices/terms/availability subject to change. Photos similar. Rarely is there a home with stunning setting of perfect landscaping with stone walls, perennial gardens, outdoor living space consists of front back and breezeway brick/fieldstone patios, 2 car Arts and Craft garage plus 6-7 private parking spaces with loft storage AND a gorgeous home professionally decorated by the owner designer. PERFECT PACKAGE OF GORGEOUS GROUNDS AND HOME! 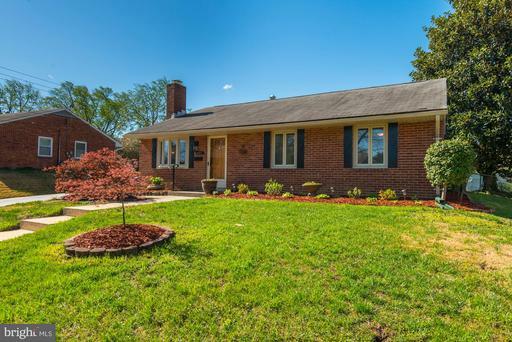 Totally renovated 3/4 large bedrooms, built-ins galore and renovated custom baths. Main level boasts a glorious kitchen with a kitchen porch which opens on the outdoor living space. The kitchen has custom cabinetry with soft close, wall of exposed brick with hidden shelves and cubbies plus a gas brick fpl. Appliances include Dacor gas oven/range, KitchenAid French Door Refrigerator and more. Kitchen floor is tile with Corian counter tops. Step up to a FRM w bay window and dual built-in bookcases. A study, or could be a dining room or main level bedroom has a brick fpl. Front to back HUGE living room with an additional brick fpl. The lower level has a recreation/game room with 6 windows, the last of the 4 brick fpl plus the pool table conveys. Updated Windows, Gas HWH, Humidifier, Gas Forced air Furnace, A/C, Double Pane Windows, Roof w/ gutter covers plus kitchen and baths! Exterior of the home is James Hardie Plank and Brick. Attention to every detail throughout the home and grounds! A pleasure to show! 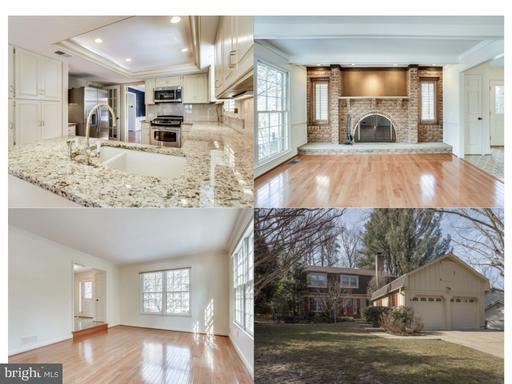 FANTASTIC REMODELED 4BR/ 3 BATH, 2 CAR SIDE LOAD GARAGE - BRICK HOME ON PRIVATE 1/2 ACRE LOT IN OAKTON! EXPANDED KITCHEN W/ SILESTONE COUNTERTOPS, BRAND NEW UPG SAMSUNG APPLIANCES, NEWER HIGH END CABINETRY, HARDWOOD FLOORS TILE BACKSPASH... EXTRA HIGH CEILINGS IN LR/DR KITCHEN.. 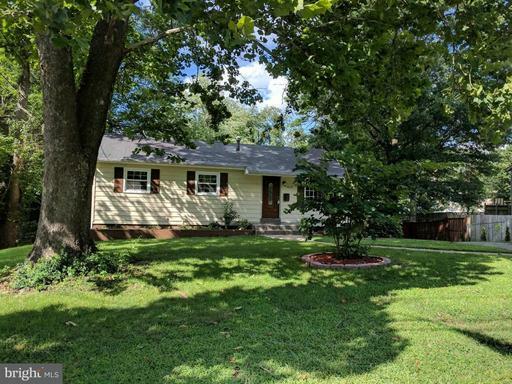 GLEAMING HARDWOOD FLOORS MAIN LEVEL.. NEW CARPET IN BEDROOMS AND LOWER LEVEL.. ALL BATHROOMS BEAUTIFULLY REMODELED.. FRESHLY PAINT THROUGHOUT... NEW WINDOWS DOORS, NEWER SIDING.. 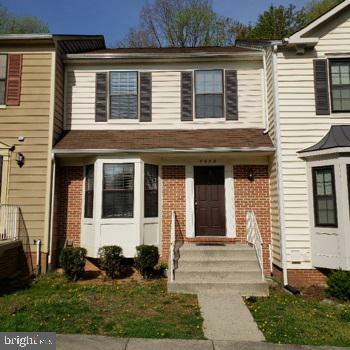 FINISHED BASEMENT W/ 4TH BR, BATH, NEW CARPET, FIREPLACE, AND WALKUP STAIRWAY.. GREAT LOCATION NEAR TOP RANKED SCHOOS, SHOPPING HIGHWAYS...HURRY!!! 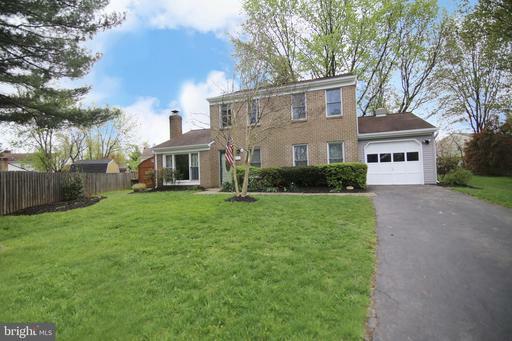 Lovely home in the Newport Cluster. Amazing light throughout the home with dramatic windows and soaring entryway. 3 beds, 4 full, 1 half bath. 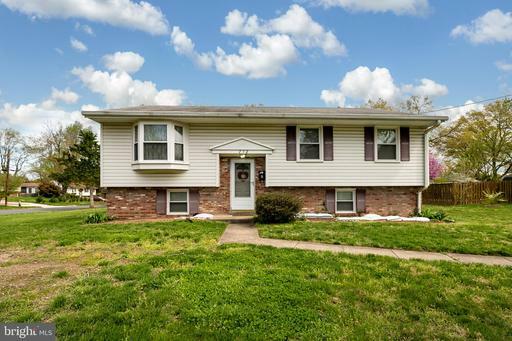 Fresh paint, new carpet, basement remodeled and fully finished including bonus room and full bath. 4 bathrooms refreshed and remodeled. Dock access to Lake Newport. Walk to tennis, Lake Newport, and the Dog Park. Enjoy Reston amenities. Easy access to metro and downtown. Tons of trails, lakes, and parks seconds away. 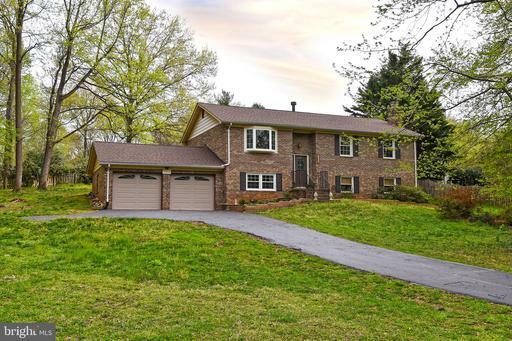 First Open House Saturday 4/20 from 2-5PM! Just entering Merryhill is breathtakingly beautiful. Framed behind the Central Fountain Gardens is this stunning all brick home with arguably the nicest setting in the development. Featuring unparalleled privacy, this all-brick end-unit home offers its own private, gated front side yard, extensive window on three sides, and the sought-after private driveway and garage parking. The elegance increases inside with a large and dramatic two-story foyer framed with extensive moldings Carrera Marble flooring. This home was custom-designed to offer a Breakfast/Family Room with a fireplace built-ins that adjoin the Center-island kitchen. The large kitchen features Sub-Zero and Kitchen Aid and offers imported German Ceramic tile and extensive counter space and cabinetry. The Living Room and Dining Room are spectacular. With matching marble fireplaces, the open room offers French doors and walls of windows with views of the stunning Stone Courtyard and decorative fountain and backed for privacy with mature Cyprus trees. The upper level features a large sun-filled Master Suite, office, and two additional bedrooms with en-suite baths. 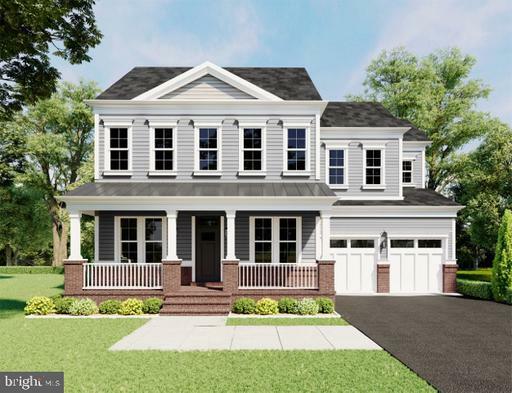 The lower level provides a 4th bedroom and full bath, exercise room, storage room and a beautiful lower Family Room with wet-bar, fireplace and windows doors that open directly onto the Georgetown-Style Courtyard. 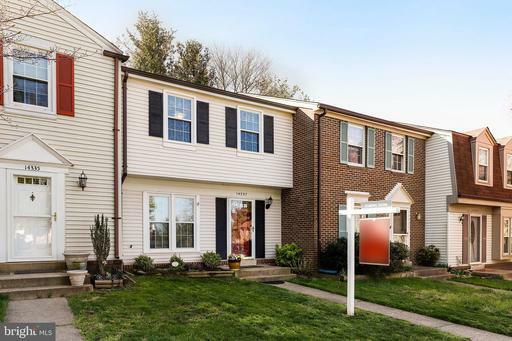 Within a block of Downtown McLean, and the CIA, and two lights to DC, this location is truly very special and a rare opportunity in McLean~s premier townhome community. This delightful home is nestled in a charming one-of-a-kind neighborhood, full of nature and history. Warm hardwood floors, new carpeting, updated wall colors, and an abundance natural light welcome you. Youll find comfort in the impressive master suite awaiting you at the end of a long day. The main level includes a living room, dining room and family room off the kitchen. 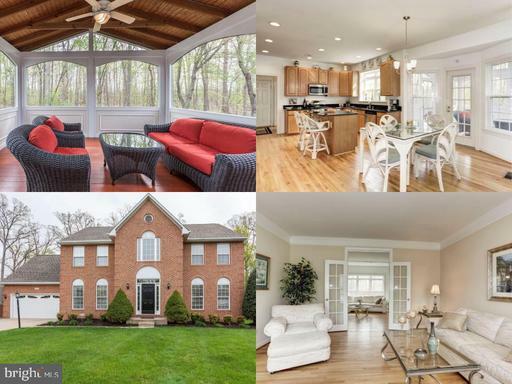 Theres great indoor entertaining space and a large relaxing outdoor porch facing a beautiful treed view. The home includes 3 finished levels, 4 bedrooms, 3. 5 baths and tons of storage. Finally, grab a seat, kick your feet up and leave your day behind while the HOA handles your lawn care. It doesnt get any better. Youll be pleasantly surprised by this hidden gem in historic Centreville, Virginia. . Lots of parking. Close to shopping. Convenient to I66, Rte. 29 Rte.28. 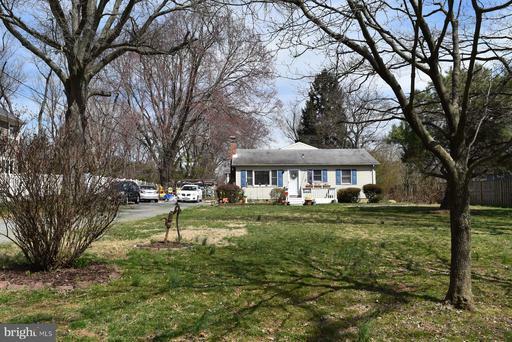 Exceptional opportunity to own a home on over one acre of land in the Tysons Corner area. Private setting on a country-like road ending in a cul-de-sac where this is the only home. 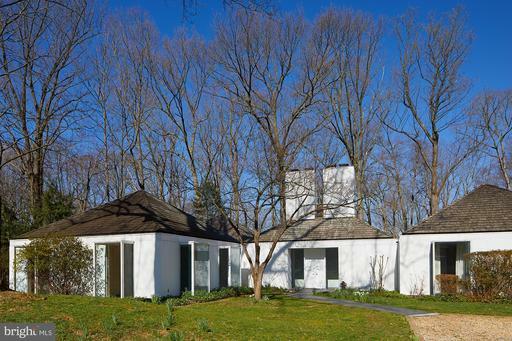 Easy access to Beltway, Dulles Toll Road and Route 66 yet in a secluded quiet setting. 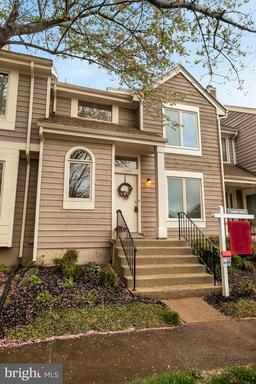 4 spacious Bedrooms and 3 Full Baths 2 en suite on upper level. 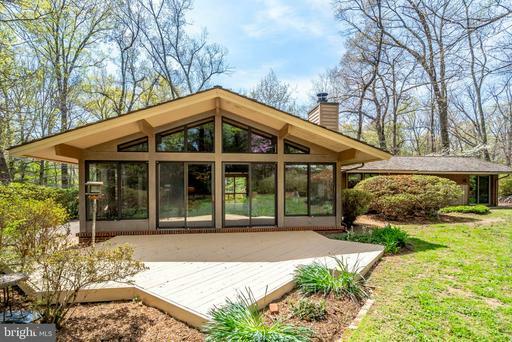 Sweeping wrap-around front porch and large rear deck. Sensible and roomy main level laundry/mudroom, hardwood floors, soaring ceilings, skylights, 4 wood-burning fireplaces, french doors, gorgeous moldings, appealing reunion-sized dining room with bay window3, large gallery landing at top of stairs on bedroom level, amazing 8x5 walk-in linen closet, cozy window seats for curling up with a book and on and on. Prime storage in immaculate full walk-out unfinished basement or design and finish to your liking 4th fireplace and roughed-in plumbing. Circular driveway provides abundant parking - double garage as well. Serene path across street to McLean Hunt Park and Bull Neck Stream Valley Park. Walk in the woods or drive to Spring Hill Recreation Center. Handy to I66, #495, Dulles Toll Road, Tysons, downtown McLean and G. W. Parkway. Bonus of Langley, Cooper and Springhill schools. Ultra-private outside and in. You will feel like you are home when you experience the charm of this heart-warming property. Fantastic 4 Bedroom 2 Full Bath 2 Half Bath Home In The Burke Centre Community. Very Modern Contemporary 3 Fully Finished Levels w/Beautiful Hardwood, Ceramic Tile and Wall To Wall Carpeting, Screened In Back Deck/Porch, Ceiling Fans/Dual Skylight, Fenced Backyard, Formal Living Room, Dining Room Family Room w/Gas Fireplace, Built-In Shelves, Fully Finished Basement, Recreation Room With Sound Absorbing Walls, Half Bathroom, Great For Entertainment Leisure, Sturdy/Metal Shelves In Basement Utility Room Conveys, Tons of Storage Space, Spacious 2-Car Garage w/Side Access Garage Door With Remote. 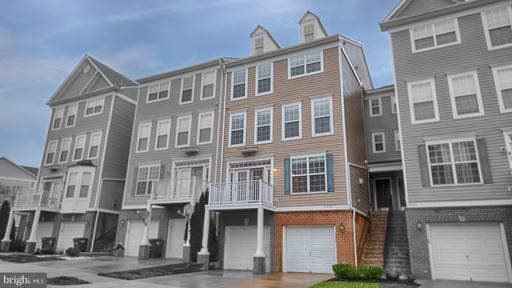 Convenient To Nearby Schools, Shopping, Fairfax County Parkway, Capital Beltway, I95, Etc. Please Contact Listing Agent Nguyen R. Banks - 571-436-0448 With Any Questions And To Schedule A Private Tour. 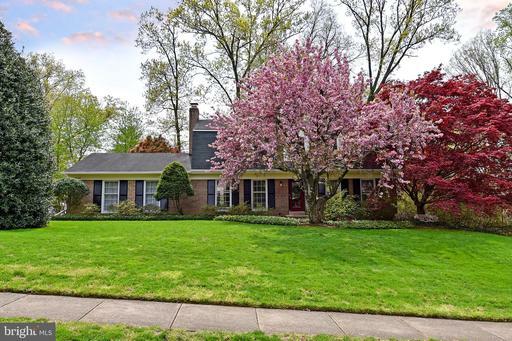 This all brick Dutch Colonial home has been FULLY UPDATED TOP to BOTTOM! 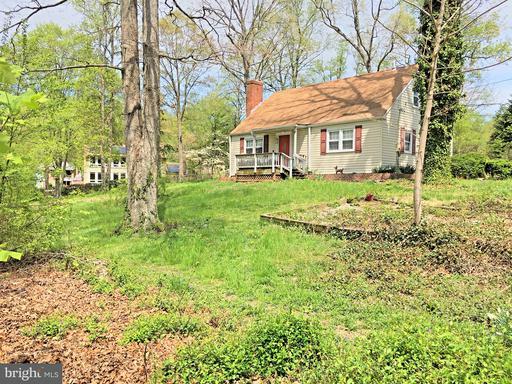 Situated on a beautiful large corner lot nearly half an acre and fenced by tall trees for privacy. 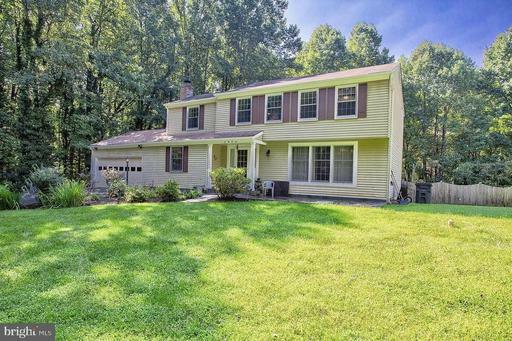 This 4BR/3.5BA Colonial boasts of a Brand new Kitchen, gorgeous new hardwood floors, and new electrical on the main level. Brand new kitchen cabinets and tiled back splash, new light fixtures and hardware. The main level has entire new hardwood flooring. Upstairs new carpeting in bedrooms and basement.~ New electrical wiring, insulation and dry wall in kitchen, powder room and basement. New finished trim on main level and basement. New baseboards at Bedroom level.~ All 3.5 Baths have all new Vanities, tiled flooring, water supply lines, toilets, hardware, light fixtures and mirrors. All new light fixtures on the main level rooms, master bedroom, and basement. New furnace, Oil tank and AC unit. 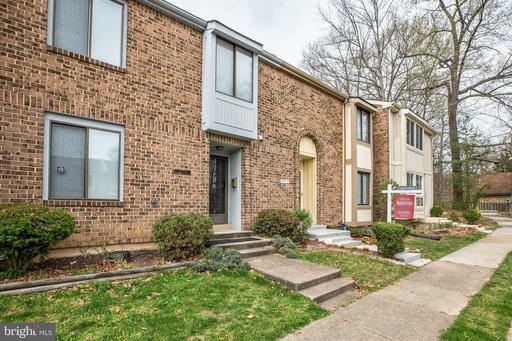 Close to Inova Fair Oaks hospital, Fair Oaks Mall, shopping, Dulles airport, Silver Metro line and Rt 50, 66 495. Welcome to your new home!!! Greatly renovated Unit; new HVAC, new hardwood floors, new light fixtures. 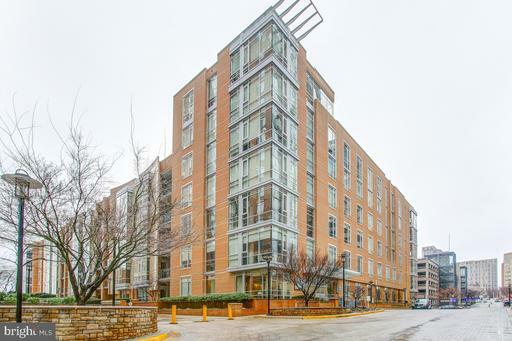 This Condo is located on the 8th floor of the Mercer building, magnificent views through the unit and a lot of natural light. Two bright and spacious Master Bedrooms, each has a large bathroom and spacious walk in closet for your convenience. Bathroom and Kitchen granite counter tops. Kitchen has ample cabinetry and a breakfast bar with tiled floors. Brand new hardwood floors throughout the living/dining room and bedrooms. Large windows in all rooms to enjoy natural light and breathtaking views. Private balcony and it even has a nook/desk for a home office. Secured building with restricted entries and monitoring, recently updated outdoor pool, business center and fitness center. The property comes with 1 assigned underground parking space #194 and 1 storage unit #2. Plenty of visitor parking in front of the building and in the back of the Westin for exclusive use of Mercer residents and guests. 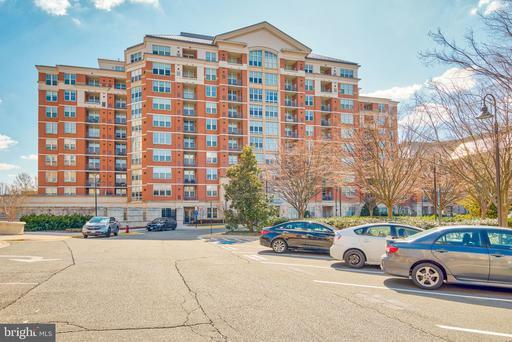 Since you are part of the Reston Association, you will also enjoy all the amenities in Reston which include multiple rec centers, pools, various sport courts tennis, baseball, etc bike trails, parks, etc. Very near to shopping, movies, restaurants and bars. 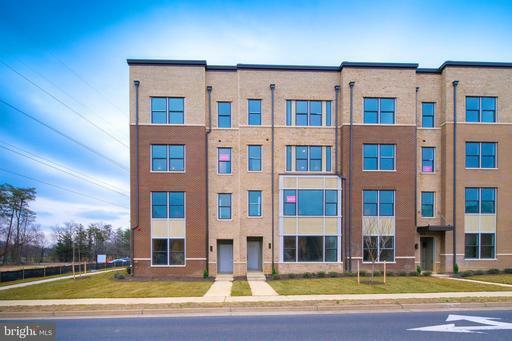 A commuters dream, 20 minute walk to Wiehle-Reston Metro Station, near the Toll Road, Dulles International Airport, Tyson~s, DC and other mayor roads. This is about your lifestyle. 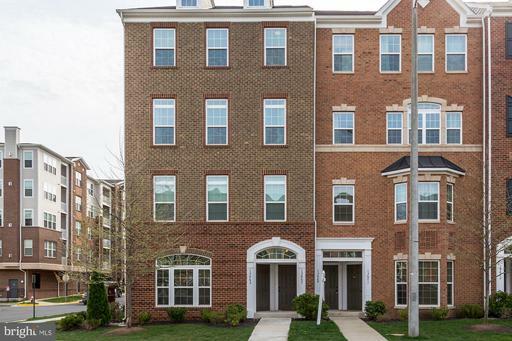 Stunningly designed and upgraded loft condo in the heart of Reston Town Center! Enjoy the security and convenience of the conciege supported building and be in the midst of it all! From your two garage parking spaces, take the direct elevator to your gorgeous home! From the island Kitchen with Italian cabinets and countertops to the Great Room with 11 ceilings, there is so much to make this home comfortable and unique. Imported light fixtures, built-in cabinetry, gas cooking, custom window treatments-its all here! Two generous Bedrooms and a Den provide the space you need. 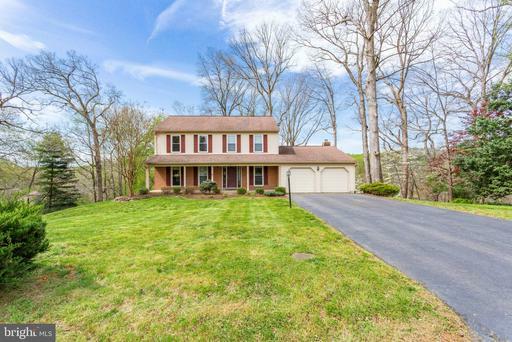 Exceptional Master Suite offers a Fireplace, huge walk in closet, and updated and upgraded full Bath! This is about contemporary design and the maximum in convenient day to day living. Dont pass it up! Dont let the outside fool you. 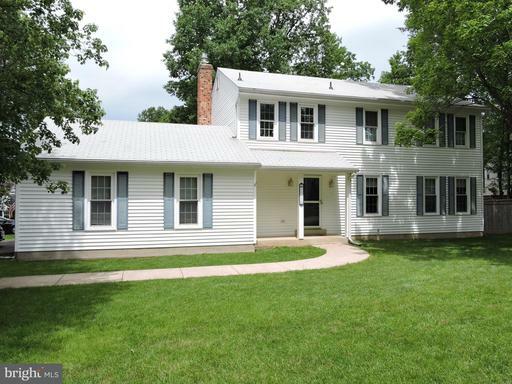 This home features 4 Bedroom/ 4.5 Bathooms and 4400 square feet of finished space. Entering the main level you can see all the way to the two story family room in the back of the house. Along the way you will pass an office and dining room. The kitchen offers double ovens, gas cooktop, loads of cabinets and nice pantry. The two story family room features a gas fireplace with door that opens to a deck and stairs to fenced back yard.Off the family room is a first floor master suite with a nice bathroom and closet. Heading to the second floor you will find an open loft area overlooking the downstairs family room. There are three bedrooms, one a junior suite with a private bath and another hall bathroom.The lower level recreation room feautres a nice wet bar with fridge, large recreation room with gas fireplace and full sized windows. This level also has three additional finished rooms and a full bath. 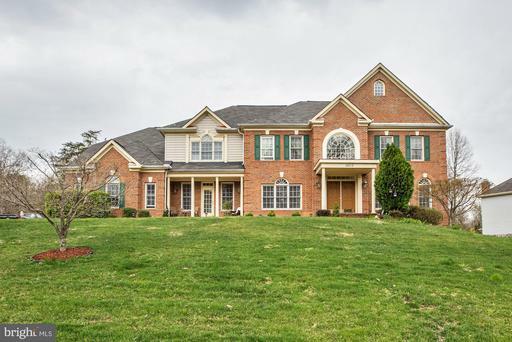 The Lorton Valley North neighborhood features a pool and community center. The Lorton VRE station for commuting to DC, Pentagon or Crystal City is within 4 miles. 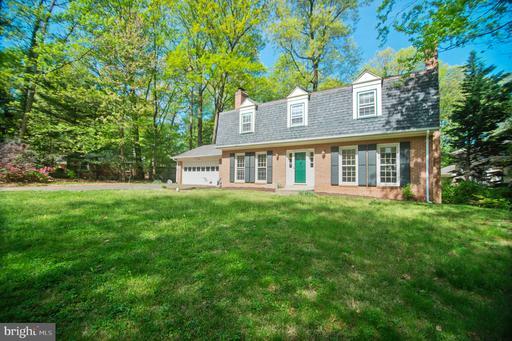 Easy access to I-95 North or South and Fort Belvoir. 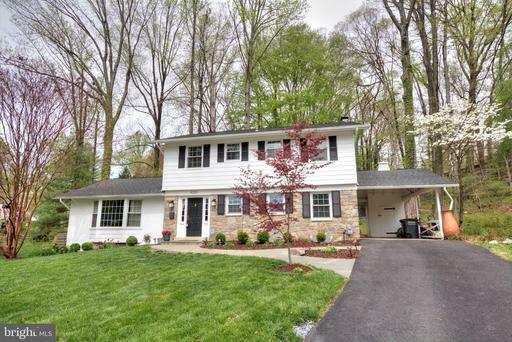 Completely renovated and professionally designed single family home in classic Reston neighborhood. 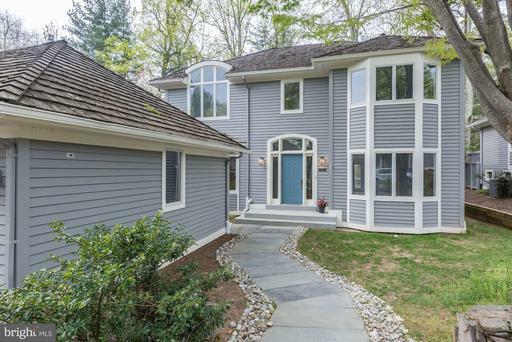 The quality craftsmanship and finishes that went into this remodel make this property an unprecedented offering. Prepare to fall in love at first sight! 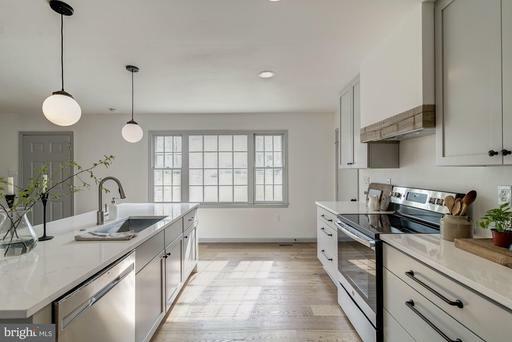 The entire main level has been opened up and features a stunning custom kitchen with massive island - light gray, soft-close cabinets, GE appliance suite, quartz counters and one-of-a kind range hood with reclaimed wood trim. Showstopping 7" plank white oak hardwood floors have been installed in all the living spaces and the paint, lighting and other fixtures from Pottery Barn, West Elm and Amber Interiors have all been handpicked for an elevated, high-end design. The floor plan is perfect for the modern family - 4 generous bedrooms upstairs, remodeled baths and multiple living spaces for entertaining and relaxing! Walk-out lower level bonus room with newly expanded full bath and built-in laundry is ideal for hobbies, mudroom or optional 5th bedroom. 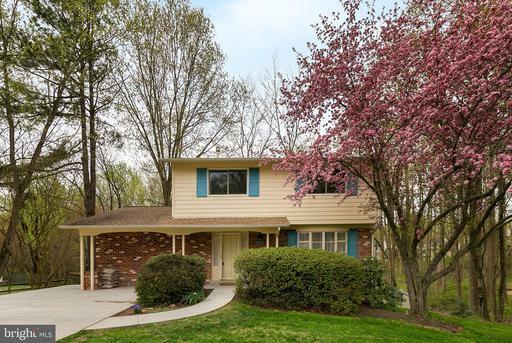 With a large deck overlooking your peaceful, wooded lot and backing to the common community playground, this home offers the privacy and active indoor/outdoor lifestyle youve been looking for. 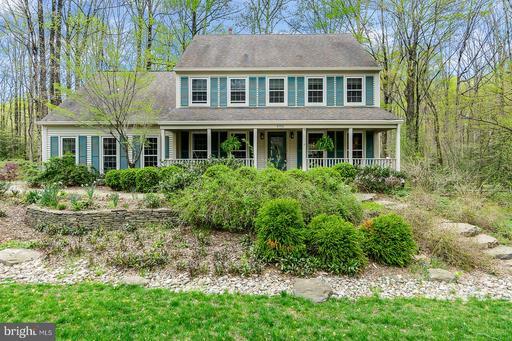 Enjoy and welcome home!An unprecedented offering in a classic Reston neighborhood. Pages: 44 Page: 1 2 3 4 5 6 7 8 9 10 11 12 13 14 15 16 17 18 See more homes at one time! Change to 10 12 30 40 50 70 100 150 homes per page.